Catch Kevin Feenan on most days, you'll find his demeanor is anything but serious. During a recent presentation about his business, Kevin had members of his referral group rolling in the aisles laughing at jokes and absurdly labeled photos as he poked fun at himself. The ma n clearly has a sense of humor. But, when it comes to quality, Kevin doesn't joke around. Brick by brick, stone by stone, B&K Masonry does things the "old way" when it comes to the craftsmanship of masonry. Attention to detail was founder and father Bob Feenan's guiding principle when he started the business in 1947. And Kevin, who now runs the business, has carried on the family tradition of excellence ever since. "It's got to be done right," Kevin maintains, with the look of a man who's serious about his business. He won't quit until a job meets his high standards. And, for Kevin, it's not just empty talk. The business became known locally when Bob Feenan moved the family to Santa Rosa's Coddingtown in the 1960s to help build the Villa Rosa development. Over the decades, B&K Masonry's reputation grew for quality in residential projects throughout Sonoma, Marin, Napa and San Francisco. Kevin grew into the business (literally! ), and can remember being on jobsites since he was five years old. By age eight, his dad was paying him $2-$3 per day. By age 16, he filled in occasionally as a paid hourly worker along with the rest of the crew when he wasn't in school. As he grew older, he worked weekends and much of the summers until age 18. But father Bob kept things in perspective. "Dad taught me how to work hard, but he also allowed me to play as well," recalls Kevin. His father insisted Kevin take time for school sports or studying, saying "You'll have the rest of your life for work." Today, B&K is a full-service masonry contractor with expertise in all aspects of brick, stone and block work. The company, which includes Kevin and his father Bob, his brother Bobby and five other craftsmen, specializes in custom residential and light commercial projects. 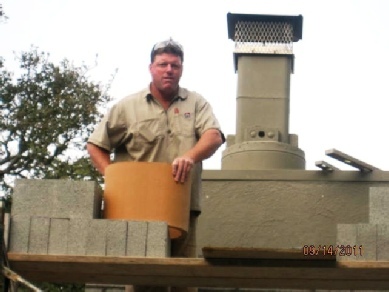 As a smaller masonry company, Kevin says it's easier to focus on quality control and attention to detail–the hallmarks of B&K's reputation. The company is A+ rated with the Better Business Bureau (BBB) and has a five-star rating on Yelp.com. Call us for a free estimate on your brick, stone or block work.